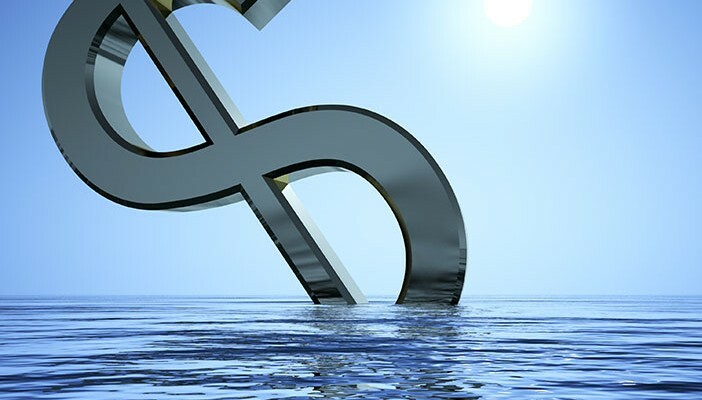 The US dollar is little changed against most of the major and emerging market currencies as North American traders return to their posts to close out the difficult week. The notable exception is the Japanese yen. It is drawing support, as it often does, from the drop in global equities and the decline in US yields. The dollar has been sold through JPY123.00 to test the 50% retracement of the rally from the July 8 low near JPY120.40 to the high earlier this month near JPY125.30. That is found at JPY122.85. Below there the next target is JPY122.30, where the 100-day moving average is found and the next retracement target. Global equities are following yesterday’s US drop. The Shanghai Composite is off almost 4.3% to cap the 11.5% decline this week. The Nikkei gapped sharply lower and settled on its lows. It fell nearly 3% and finished the week off 5.3%. The MSCI Asia-Pacific Index is off about 2.3% on the day and is at its lowest level since early 2014. The European markets opened sharply lower, though have stabilized, perhaps awaiting the US open. Of note, the DAX gapped lower but has subsequently filled the gap. The Dow Jones Stoxx 600 is off nearly 0.7% near midday in London, . Asian bonds, but JGBs rallied to catch-up to the US Treasury move that brought the US 10-year yield below 2.1% and the German bund yield below 60 bp. European bonds are mostly quiet, though news that an election looks probable in Greece (other parties in parliament have a right to try to put a government together). There has always been an implementation concern and the seemingly political disruption only adds to that. Moody's said as much, as well. This has added pressure on Greek bonds and stocks. While the main focus is the drop in equity prices and oil, the flash PMIs have not been particularly helpful. Japan's flash PMI is probably the least followed. It rose to 51.9 from 51.2. It is the fourth consecutive gain and sits at its highest level since January. On the margins, it may boost confidence that the contraction in Q2 is not being repeated in Q3. China's flash Caixin manufacturing survey was the most disappointing. It was expected to rise to 48.2 from 47.8, but instead it fell to 47. This is a new cyclical low. Separately we note that the dollar-yuan was fixed at CNY6.3864, down from CNY6.3915. It finished the Shanghai session at CNY6.3889 compared with CNY6.3891 the previous day. The return to such stability in the dollar-yuan rate makes many suspicious of China's intention. If market forces are to have more sway, the pair would be more volatile. Japan's Finance Minister Aso warned China today against frequent interventions, though welcomed its efforts, as did the IMF and the US, if this is truly a step toward greater liberalization. China's intervention is thought to be a major factor that has draining liquidity from the banking system and pushing up key short-term rates. China has pumped in the equivalent liquidity via reverse repos and loan and deposit auctions of a 25 bp cut in required reserves, and still yields have risen. Many suspect that additional monetary support will be provided as early as next week. The eurozone flash PMI was better than expected. The composite rose to 54.1 from 53.9. The market had anticipated a small decline. The manufacturing PMI was unchanged at 52.4. It is as if the better Germany report (53.2 from 51.5--highest since April 2014) neutralized the French disappointment (48.6 from 49.6--whereas the market expected a small gain). The fact that EMU service PMI was reported at 54.3 up from 54.0 is surprising. The German measure slipped to 53.6 from 53.8, a little worse than expected. The French reading slipped to 51.8 from 52.0. It seems to be putting much weight on the periphery (especially Italy and Spain) service sector. Separately, the PMI reports show the price of goods rose for the third month while services prices fell for the 45th month. It seems that this is in contrast to the US where service inflation is running higher than for goods. Tensions on the Korean peninsula have flared up, and although it may have weighed on Korean won and stocks (Kospi off 2%), seems to be contained. We note that gold prices, for example, have reversed their earlier gains on the news. The four-day rally through earlier today lifted gold prices by a little more than 5%. The key to psychology going into next week rests not so much on the only data of note from the US today, the flash manufacturing PMI), but if the equity market can stabilize after yesterday’s shellacking. Canada reports both retail sales (consensus is for a 0.2% headline increase and 0.5% excluding autos) and CPI (consensus is for 0.1% on the month and 1.3% year-over-year, with the core rate up to 2.4% from 2.3%). The stabilization of the two-year interest rate differential and oil prices is helping the Canadian dollar consolidate its recent losses. The Canadian and Australian dollars are the only major currencies weaker against the dollar this week. It has rallied of the test on the $1.1020 area seen Tuesday and Wednesday. It was turned back from the initial push toward $1.13, but the market does not look done yet. The May and June highs in the $1.1435 and $1.1465 area beckon. Meanwhile, sterling was bid through $1.5700, but once again met sellers there has it has down each session since Monday. Only a break of the $1.5660 area now says the short-term market has given up.